Old machine, new body. Source: Toronto Star, April 2, 1971, 6. Sometimes, while I’m digging into unrelated research (in this case, Toronto’s St. James Town), I come across something that I’d like to share. Since I’ve been away from Twitter for the last few weeks, I figured that I would share this political cartoon from 1971 here. As is the case with some other provinces, Ontario appears to have a fairly high tolerance (or love) for machine politics of one sort or another. We often like to place an expiry date of approximately 10 years on our governments in Canada, but that always seemed to be more of a federal standard to me. In any event, when this particular cartoon was inked, in April 1971, a Progressive Conservative had held the provincial Big Chair™ since 1943. 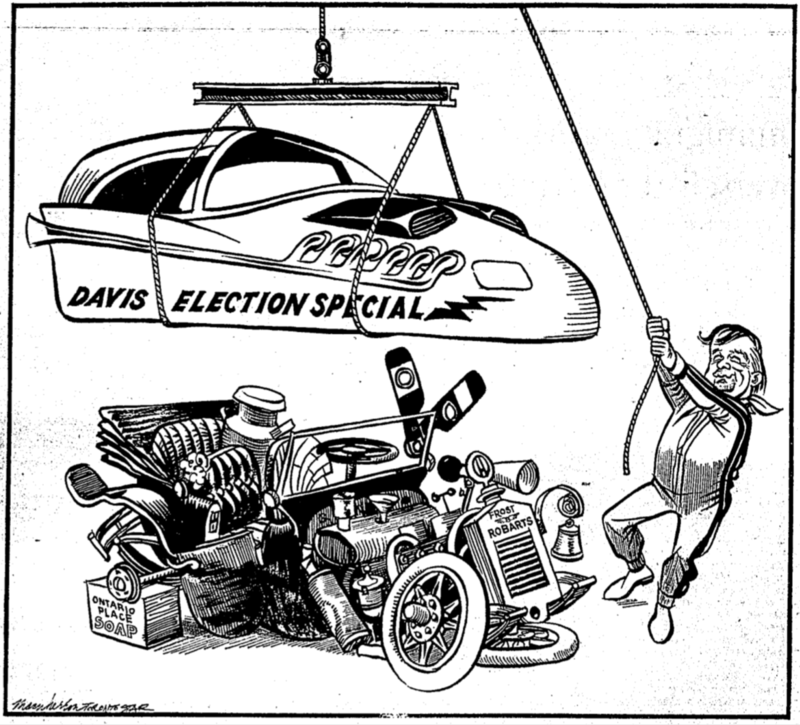 As things would go, Davis and the PCs went on to extract many more miles from that jalopy, only being pushed on to the opposition benches in the summer of 1985.